The football club St Sidwell’s United were formed in 1901, and still play a prominent part in our local community under the more familiar name of Exeter City. Local interest in association football had grown in the late nineteenth century, leaving a number of sides vying for the status as the leading side in the City. As relative newcomers to the scene St Sidwell’s United may have seemed up against it, but in 1902, following a comprehensive 3-0 victory over Exeter United, the local press officially confirmed them as ‘the City club’. In achieving this they also laid claim to the St James Park, which had already established itself alongside the County Ground in St Thomas as on of Exeter’s main sporting venues, having hosted rugby, cricket, athletics, and cycling events since the 1850s. In 1904, having taken the lease of the ground as a ‘syndicate of citizens’, the founders of the club, including the aptly named club secretary, Sid Thomas, decided to stamp their mark on Football in the city, and in doing so changed the name of the club to Exeter City Association Football Club. It is most likely that this is the point that they also officially became the Grecians. The origin of this nickname has been debated many times in recent years with suggestions ranging from links to political parties, inscriptions on an old clock in Sidwell St, and greasy local children, referred to in historic Exeter texts as the gresy’uns! However, the reason for the name though lies simply in the clubs St Sidwell’s origins. In the 17th and 18th century it was common that classical plays such as the Iliad, where the Greeks lay siege to the city of Troy, were performed to the public on cathedral green. From this the term Grecian filtered into popular culture, and was adopted by the residents of St Sidwell’s, who lived outside the city walls, to identify themselves as separate to those who lived with the old Roman boundary. Over the years the connection between the club and St Sidwell’s continued. It was in the Red Lion Hotel, which stood just across the road from where the Odeon Cinema is now, that the club turned professional in 1908, and when the original Grandstand burned down in 1926, the players used the pub to get changed prior to the game. There are also prominent players from the clubs past that had strong connections to the area, including the goal scoring vicar, Reverend Reid; Percy Worner, who taught at St Sidwell’s School before his journey to the front in WWI; and Jimmy Rigby who ran a number of shops on Sidwell Street following his retirement from the game. The greatest connection of course comes with the fans, and for more than a century ‘the Grecians’ have made their way up Sidwell Street to the ground to cheer on their football club. These fans have seen the club gain promotion on five separate occasions (1963, 1977, 1990, 2008, 2009), and have joined the side on the journey to the quarterfinals of the FA cup in both 1931 and 1981. In the 1990 campaign they witnessed Terry Coopers team win the Fourth Division title without once losing at home, and between 2007 and 2017 have made the journey from Old Tiverton Road to Wembley Way three times. Fans also led the way in changing the model of how the club was run, when the ECFC Supporters Trust took ownership in 2003. At the time this was a necessary move for the survival of ECFC, but in many ways it echoed the origins of the club, where once again a syndicate of citizen’s from the community got together to ensure that association football would be played at St James Park. 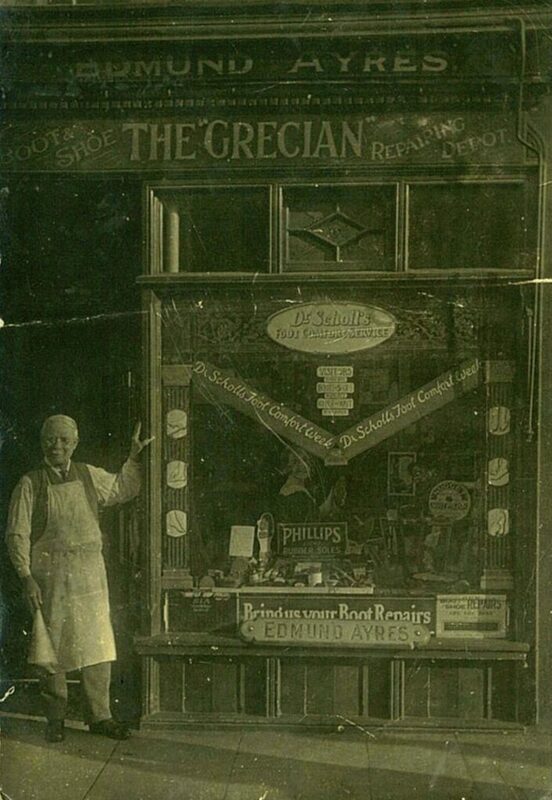 Find out more at The Grecian Archive.